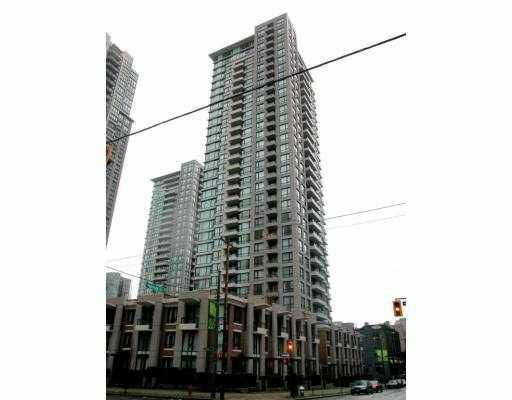 Here is your opportunity to own a very unique 1 bdrm and den unit at Yaletown Park I. This very rare unit is one of only 2 units like this in the entire development. Facing the quiet inner courtyard and overlooking green space this unit feels like a town house and features 12 ft ceilings, granite counters, pendant bar lighting, in-suite laundry, large covered patio, 1 parking and 1 storage locker. This Very well laid out and efficient plan feels much larger due to the extra high ceilings. Move into Yaletown today and be just steps sway to the finest attributes the city has to offer. View realtor website for floor plan.